Doctors Without Borders/Médecins Sans Frontières (MSF) Infectious Diseases Advisor Rupa Kanapathipillai answers questions about how MSF sees the global threat of antibiotic resistance at its projects around the world. 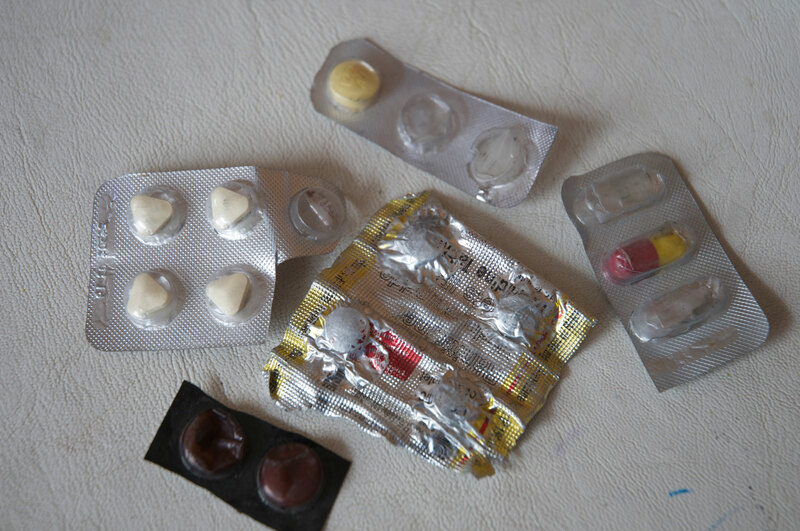 What does antibiotic resistance look like in MSF’s field projects? I’ll give you an example. MSF runs a reconstructive surgical program in Amman, Jordan, for patients from neighboring countries—Iraq, Syria, and Yemen. They’ve often had multiple surgeries and have received courses of various antibiotics before coming to us. There was a 22-year-old Iraqi patient with a conflict-related injury who had developed an infection of the bone in his lower leg. After surgery, we had some of the tissue from his leg sampled and sent to the lab and we found that he had grown a multi-drug resistant bacteria and it proved to be very, very difficult to treat. We reached the point where he was facing amputation of his leg in order to control the infection. Ultimately, we ended up using Colistin, which is one of the last-line antibiotics available, to treat his infection. He was lucky in that he had an infection that was able to be treated by the last-line antibiotic. But if he develops resistance to Colistin and he has a recurrence of the infection, there is a very real possibility that no antibiotics would be left to treat him. That’s just one example from one region. Everywhere it’s been looked for, antibiotic resistance has turned up, and at alarming rates; the World Health Organization’s surveillance report from 2014, which looked at all available data or information from different parts of the world, confirmed that. The difference is that in wealthy countries where health systems are more stable and developed, there’s more ability to address the issue head on. In poorer countries, where MSF usually works, health systems are not quite as developed and it can be extremely challenging to address the problem. Why is antibiotic resistance happening now? Antibiotics are designed to kill bacteria, and the natural history and evolution of bacteria has shown us that it will develop mechanisms to avoid being killed by antibiotics. It’s a problem now because over the last several decades there has been a real drought in the drug development pipeline with regards to new products to treat bacterial infections. One of the reasons hypothesized for this is that there is limited financial reward to be had in treating short-lived or short-termed infections, as opposed to chronic illnesses. 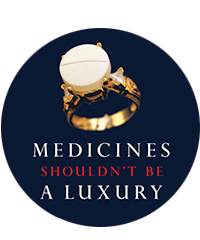 Therefore, the pharmaceutical industry has more financial incentive to produce medication that people need to take for a long time, even the rest of their lives, as opposed to a short amount of time, as is the case for bacterial infections. Irrational prescribing practices by clinicians, or the unnecessary use of antibiotics and broad spectrum antibiotics when a narrow spectrum antibiotic will do. A broad-spectrum antibiotic is one that treats several different types of bacteria, as opposed to a narrow-spectrum antibiotic, which is much more targeted in its activity. Ideally, when we can, we try to use the narrowest spectrum of antibiotic that is going to be effective to treat that particular bacterial infection. The widespread availability of over-the-counter antibiotics. Particularly in a lot of the countries where MSF works, patients can purchase broad-spectrum antibiotics in markets and pharmacies without prescriptions. They then become unnecessarily exposed to different types of antibacterial agents—so to different types of antibiotics. Bacteria become exposed to these types of antibiotics, and are more likely to develop resistance to them. Infections, including multi-drug resistant pathogens, are passed between patients in hospitals when there is not adequate infection and hygiene control. In many parts of the world there are few if any microbiology labs where clinical samples from patients, such as blood, bone, tissue, or cerebrospinal fluid, can be tested to find out whether their infection is resistant to treatment. We must improve our ability to diagnose these infections in resource-limited settings, and also to document and monitor the types and rates of resistance through surveillance. Another huge driver is the widespread use of antibiotics in animal health and agriculture. This is something that needs to be addressed by governments and regulatory bodies. How is MSF responding to this issue? We are trying to address it in a variety of projects: everything from our neonatal unit in Pakistan; to our burns unit in Haiti; to our surgical programs in the Middle East, including the Amman project. The use of antibiotics is a cornerstone of management in burns patients, particularly those patients in whom we are worried about invasive infections or bloodstream infections. Typically, because they’ve lost their normal skin defenses and must spend weeks in hospital undergoing multiple invasive procedures, and receiving a lot of antibiotics, burns patients are more likely to develop infections from multi-drug resistant bacteria. And we're also trying to do operational research and advocacy around this issue. Moving forward, MSF needs to work in collaboration with ministries of health and local governments to restrict the over-the-counter availability of broad-spectrum antibiotics while still ensuring that people who need antibiotics can receive them in a timely manner. Another collaboration should be the expansion of vaccine use as a strategy to prevent the burden of bacterial diseases that need antibiotics. Finally, research and development for new vaccines, diagnostic tools, and treatments is critically needed, as is the funding for the R&D. MSF will continue to advocate for that. Within MSF, we appreciate that this issue is not going to go away, and that to address it will be a long-term and enormous undertaking. But it's a challenge that we are already working on and will continue to in the coming years.